We all love dining at a place with a vibrant aura and if the food is delectable, it simply makes our day. Situated in Baner is one such restaurant -Pan India Eatery (PIE) that will pamper your taste-buds with Pan Indian cuisine. With a neatly done-up dècor with a chequered floor, bright yellow couches and a bar with a ceiling of upside-down glasses, this cosy eatery has opened its doors for the food connoisseurs of Pune. Giving a healthy twist to the cheesy Italian classic, they have come up with thalipeeth-pizza, their signature dish. We loved the lotus stem chat, kumbh ke sholay, bhatti murgh for starters. For mains, opt for the Lucknawi mutton biryani if you're craving for some Awadhi food. You should try the kombdi kala rassa as well as the kozhi Mulakittathu Kerala Style which are prepared in an authentic manner. The best thing is that they have Pan-Indian dishes that have flavours from across India. Right from Kerala-style preparations to Goan-style fish, Lucknowi delicacies to Delhi flavours, you can find it all here. Apart from food, they also have a great selection of alcohols. Did you know they specially serve beers from Gateway Brewery? 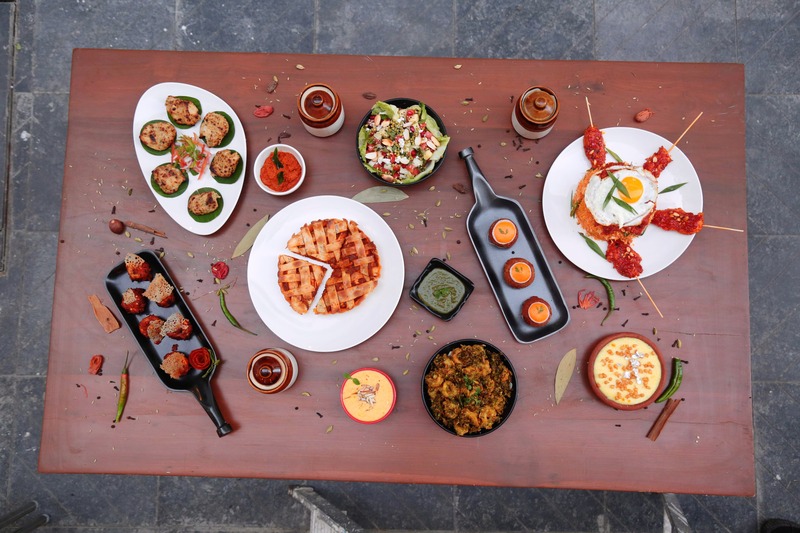 It is a great place to do brunches and gorge on delicacies and sip on boozy drinks. Ask them for the deals as they keep offering great packages for brunches and lunches.